People always wonder why they are not successful though they know the reasons for their delayed success. This is due to their thinking “Log Kya Kahenge“. It is better to know all the reasons you are not as successful as you should be. As awareness is the first step to change. Then you can work towards bringing change in your life. 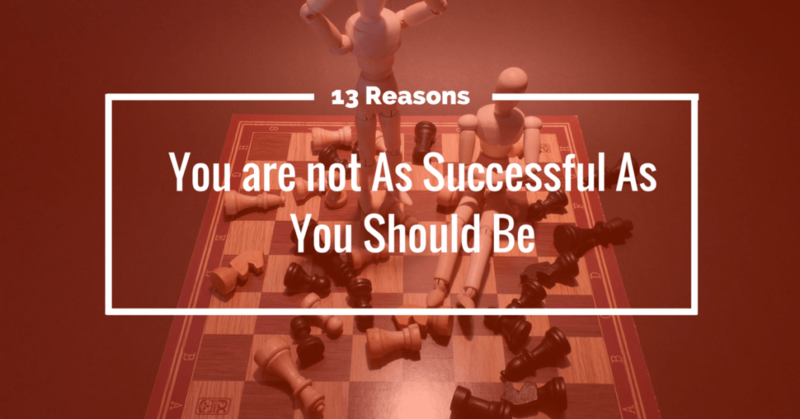 Jim Kukral, a speaker and an author talked about the 13 reason you are not as successful as you should be. The below infographic summarizes those reasons so just have a look at them. 12th reason is connected to me more. Which reason connects with you? If you really like this and want to know more about these reasons, just watch the complete video of Jim Kukral. You can find the video embedded in that post. If you have any questions comment below. We love to help you.